PRODUCT DESCRIPTION: Electric fogging machine which can handle both water and oil based formulations. This machine will convert liquid formulations to a fine mist. The mist can then be directed over air spaces where nuisance pests are active like mosquitoes, gnats, noseeums and more. The mist or fog will quickly kill flying pests when the right active is applied. This unit has a dial which enables you to keep set the flow rate to low, medium or high. There is also an on/off switch and a quart holding tank (32 liquid ounces) for the solution you want to apply. Flow rate is about 3 oz per minute max and the particle size will range from 15-40 microns. If you'd like a bigger holding tank, get the upgraded offer listed below which comes with a 2 Quart (1/2 gallon) tank. TARGET PESTS: Mosquitoes, gnats, noseeums and other insect pests but it can also be used to apply odor control agents. WHERE TO USE IT: Around the home and patio or deck areas. This is perfect for the condo or townhouse owner who doesn't want to invest a lot in such a machine but still has a need for fogging. Remember, this is for small jobs only. 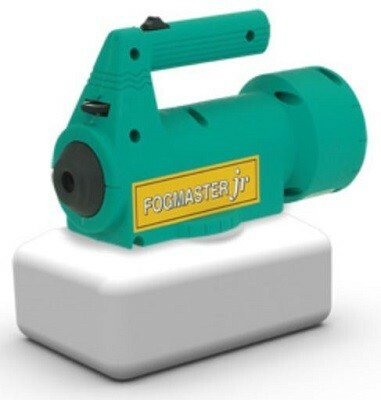 Can you use this fogmaster jr. to treat a attic with bora-care? We have had many customers use it for this purpose. The key when using this machine is to make sure the Boracare is properly mixed. And we recommend using it at the 2:1 ratio (2 parts water to 1 part Boracare). Granted this will take more time to get the material distributed but the extra water insures the solution is thin enough so it doesn't clog the fogger's internal parts. 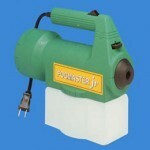 This unit is quick and easy to use. It does an excellent job and fogs my yard in record time. I would highly recommend it. Five stars! The fogger works like it should. It is a little top heavy so it has a tendency to tip when it is low on fluid, but overall a good product. Can I use this to treat the space within the dry wall area to get rid of skunk odor? Also.. will the fog activate fire sprinkler in the ceiling? It would be a great way to treat. And the spray is generated by a "cold fogger" so its both water based and not "hot". In other words, it will not activate sprinklers. Even hot foggers don't, at least not when used properly, in my experience so this should not be a concern. 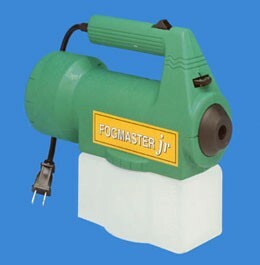 Keep in mind you can also "rent" a more powerful fogger if the space is very big. Lastly, the N7C or NNz will be what you want to fog too.